Bringing the Brashear Telescope back to life. A masterpiece of Victorian astronomical engineering, restored for a new generation of southern stargazers. The Tomorrow’s Skies Charitable Trust is seeking your help to restore and re-house the Brashear Telescope in a purpose-built dome so that generations to come can appreciate this historically significant astronomical masterpiece. Once restored, this marvel of Victorian engineering will sit in the new International Astronomy Centre on the shores of Lake Tekapo and will be accessible free of charge all day for visitors to the renowned Aoaraki International Mackenzie Dark Sky Reserve. This is your chance to be a part of the project that will ensure this antique telescope is restored masterfully and placed in a setting that will enable people to experience the striking depth of space in some of the world’s most pristine skies. This will be the telescope in Tekapo; a centre point of astronomy that will be visited by tens of thousands of people each year. John Brashear produced telescopic and spectroscopic optics and other scientific apparatus of a precision unheard-of up until that time. At a time when scientific research was at the technical limits of its reach, Brashear optics and equipment greatly extended that reach. GLENN A. WALSH. BUHL PLANETARIUM AND INSTITUTE OF POPULAR SCIENCE, PITTSBURGH. A marvel, beautifully crafted of brass, iron, steel and wood, the Brashear Telescope stands nine meters tall and has an 18-inch refracting lens. As one of the most important telescopes of its era, this masterpiece of Victorian engineering deserves a special home. 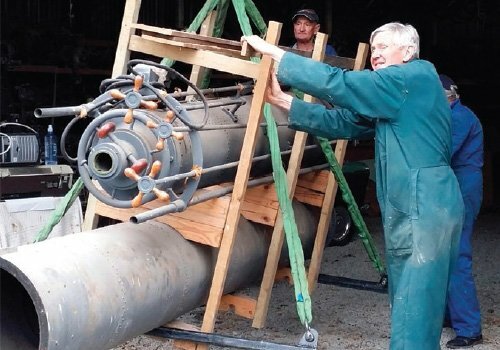 The Brashear Telescope was generously gifted to the University of Canterbury by the University of Pennsylvania for restoration and installation at Mt John Observatory in the 1960s, with the intent being to repair it to perfect working order. Sadly, since then, there have been insufficient funds to restore and house the Brashear in a manner befitting its importance. With plans now laid by Earth & Sky, New Zealand’s premier astronomy attraction, for a new International Astronomy Centre on the shores of Lake Tekapo, the time to bring the Brashear back to life is now. The Tomorrow’s Skies Charitable Trust aims to fully restore the Brashear and build an observatory dome so the telescope can be installed as the centerpiece of the new International Astronomy Centre, in the heart of the 4300 square kilometer Gold Standard Aoraki Mackenzie International Dark Sky Reserve. Once installed, the Brashear Telescope will enable astronomy to become more accessible to new generations of Southern stargazers through this historically significant masterpiece of equipment. 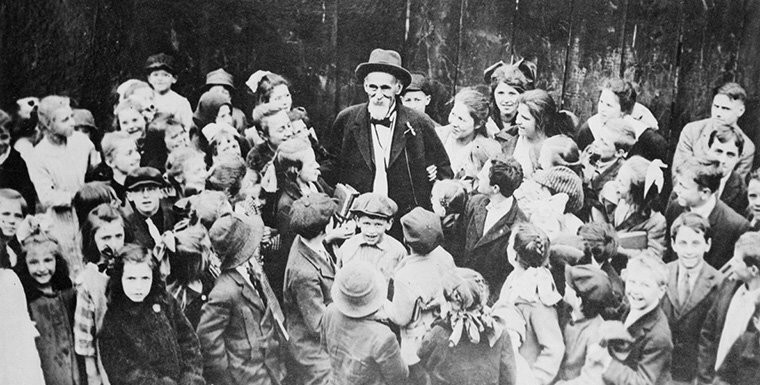 Dr John Alfred Brashear with a group of local children outside his home in Pittsburgh, PA, circa 1914. Brashear was admired and beloved by his fellow Pennsylvanians and the local Pittsburgh children who called him ‘Uncle John’. The night sky in Tekapo. A world of astronomical importance. 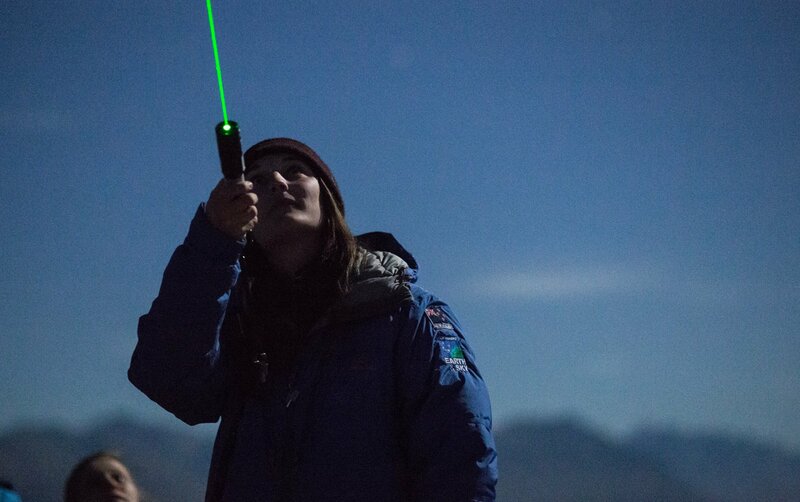 To further protect the pristine dark night-sky in the Mackenzie District, a 4300sq km area was declared in 2012 as the Aoraki Mackenzie International Dark Sky Reserve. 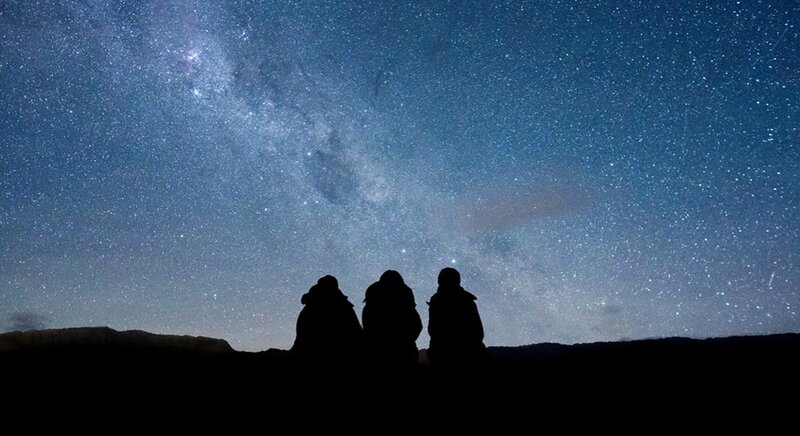 It is the second largest dark sky reserve in the world, the only Gold Standard Reserve in the Southern Hemisphere, and was the first dark sky reserve to achieve gold status in recognition of the pristine skies of the Tekapo region. It was the dream of those who gifted the Brashear to Tomorrow’s Skies that it be used to view the southern stars and, once re-instated, it will foster access to these incredible night skies. 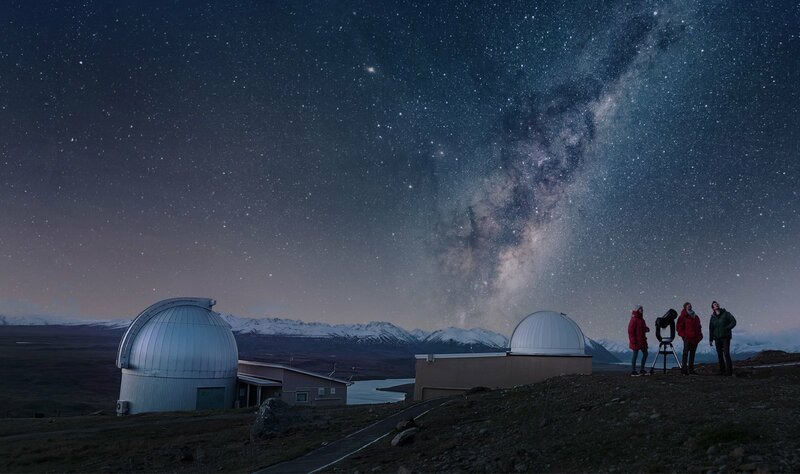 Due to the success of the Mt John observatory, Tekapo has gained international recognition in astronomy. This success led to the establishment of Earth & Sky in 2004 to deliver worldclass stargazing and observatory tours to the area. Earth & Sky is now recognised as Aotearoa’s premium astro-tourism activitiy and hosts over 100,000 visitors each year. The restoration of the Brashear Telescope will be an internationally significant addition to Tekapo, enabling thousands more patrons to experience the night sky and view the surrounding untouched landscape. To harness the beauty and uniqueness of the Aoraki Mackenzie International Dark Sky Reserve, Earth & Sky are embarking on a project to build a new Astronomy Centre on the shores of Lake Tekapo. In recognition of the importance of the Brashear Telescope to astronomy, Earth & Sky have incorporated plans for an observatory dome large enough to house the telescope, with Tomorrow’s Skies funding the dome’s build to provide a fitting home for this important piece of history. The Brashear telescope will be the heart of the new Astronomy Centre and will be free for the public to access throughout the day and for New Zealand School groups at night. The Brashear will also be part of a ticketed astro-tourism experience in the evenings that will enable visitors to view the Southern stars through an internationally regarded and significant instrument. This experience will provide revenue to ensure the ongoing maintenance and stewardship of the telescope. Tomorrow’s Skies are committed to constructing a purpose-built observatory dome for the Brashear that will create an interactive astronomy experience designed to inspire and educate visitors about the night sky. The observatory designs include a special viewing gantry that will enhance the experience and the dome will seamlessly integrate with Earth & Sky programmes. The new Astronomy Centre will also have a restaurant and bar where visitors will be able to dine while looking over the lake and enjoying the unspoiled Tekapo landscape. It will also be the check in and departure area for visitors going up Mt John for the Earth & Sky astronomy tours. This new attraction will increase visitor numbers to the area and create an accessible, exciting and important base for dark sky viewing. The Brashear Telescope is one of the world’s most famous Victorian telescopes. 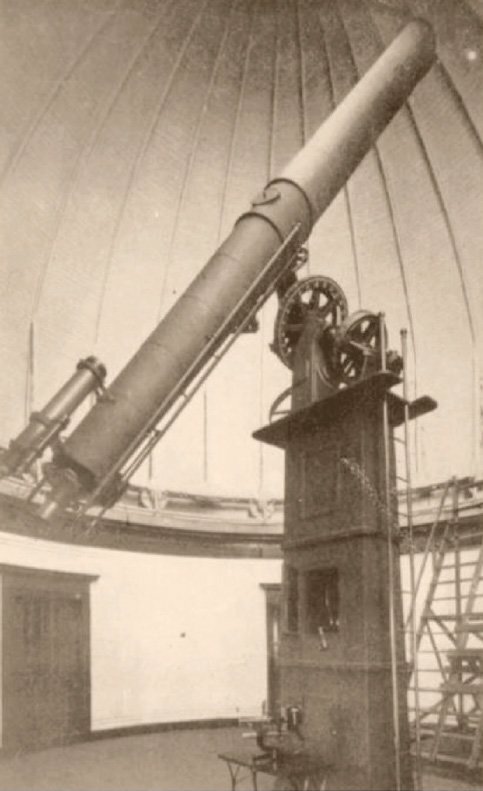 The 18-inch refractor was created in 1894 by renowned Pennsylvanian Optician, John Brashear, and was fitted in an eight metre long tube atop a 5.4 metre high pier and equatorial mount fabricated by the illustrious Warner & Swasey Co. of Cleveland, Ohio. The telescope was then installed in a ten metre diameter dome at the Flower Observatory, owned by the University of Pennsylvania. For over half a century, this extraordinary piece of equipment produced a multitude of valuable research data and became hugely important in the history of astronomy. During Percival Lowell’s studies of Mars, he famously used the telescope to see sunlight reflected off the Martian polar icecaps. The Brashear Telescope was also used by Walter Leight in his early examinations of Saturn, where Leight first observed sub-divisions in Saturn’s rings. The Flower Observatory closed in 1954 and the Brashear Telescope was dismantled and placed into storage. In 1962, the University of Pennsylvania began exploring a Southern Hemisphere astronomy programme and so the telescope arrived in New Zealand and to Tekapo in 1963 in a partnership with the University of Canterbury (UC). This partnership resulted in the establishment of the Mt John Observatory, but unfortunately for the Brashear, there were insufficient funds to build a dome suitable to house the ninemeter tall telescope and it was resigned again to a life in storage. In 2016, UC gifted the telescope to the Tomorrow’s Skies Charitable Trust to enable the long-held dream of restoration to be realised. The Tomorrow’s Skies Charitable Trust will ensure that the Brashear Telescope is free for the public to view throughout the day, and always will be. The aim is for the telescope to become the anchor of astronomy in Tekapo and to provide thousands of people each year with an experience like no other on earth. Every year, the Trust will also provide 2000 New Zealand school students and their teachers, free access to the Brashear Telescope for schools to take part in astronomy education. This free access will give New Zealand school children the chance to view some of the clearest, darkest night sky in the Southern Hemisphere and the Trust hopes that this extraordinary access will help to foster a new generation of young astronomers. The Tomorrow’s Skies Charitable Trust’s goal is to restore the Brashear Telescope to perfect working order and build a suitable observatory dome to house it so that it will be readily accessible to the public. 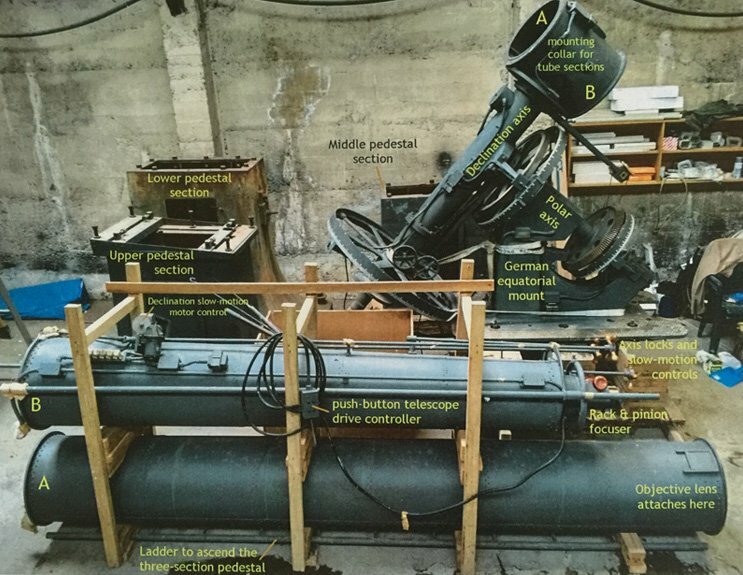 The delicate process of restoration will involve exposing the beautiful original brass, steel and wooden finishes, refurbishing all the mechanical components including the five-meter-high equatorial mount and resetting the 18-inch Brashear lens into the telescope tube. The Brashear Telescope will then be installed in the purpose built dome in the new International Astronomy Centre so it can once again be used after five decades in storage. This dome will be a masterpiece in itself, with a separate foundation and entranceways, as well as viewing platforms and a purpose built gantry crafted to ensure visitors have life-changing experiences. In order to realise the goal of restoring and re-housing the Brashear Telescope, the Tomorrow’s Skies Charitable Trust needs to raise $1.4M. The Trust is committed to securing these funds by the end of 2018 in alignment with the Earth & Sky International Astronomy Centre Project. We need your support to preserve this masterpiece of astronomical engineering and restore it to perfect working order. 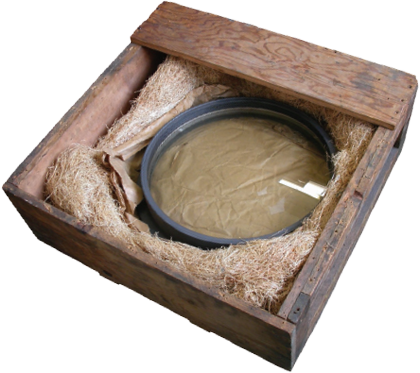 The expert hands that will restore the telescope will ensure that every detail is exact and that each facet of the Brashear Telescope remains true to its original makeup. This antique masterpiece deserves to once again be a working telescope that celebrates its history, while allowing a new generation to stargaze through the same telescope lens as the great astronomers of the past. We are inviting those with an interest in the Brashear Telescope and the astronomy community to share in the support of this project to ensure its success. Once restored, the Brashear will be the only Victorian telescope in a Gold Standard Dark Sky Reserve; the importance of this project to astronomy is significant, and you can help it come to fruition. Tomorrow’s Skies has a series of exciting opportunities available to donors in appreciation of their support and we invite you to speak with us today about how your gift will impact this project. 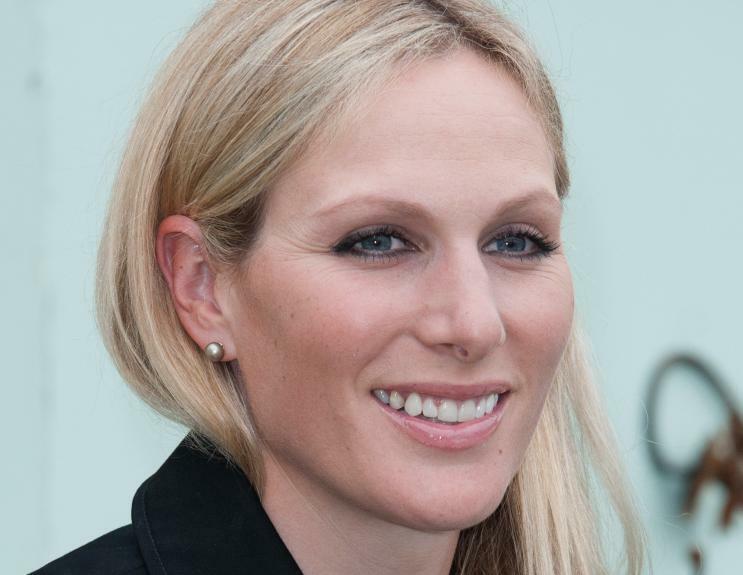 Bespoke recognition of gifts will be developed in partnership with each contributor. Every significant contributor will have the opportunity to attend the First Light event for the telescope, which is to be held in April 2019. The principal partner will be invited to undertake the First Light viewing, being the first person to view the stars through the Brashear Telescope in over 50 years. The principal partner will also have the opportunity to explore naming options for the telescope.